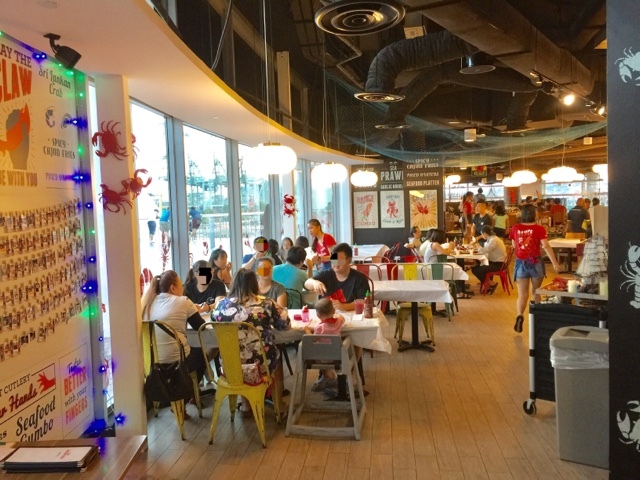 Dancing Crab Vivocity - Fresh seafood in finger-licking good sauces! 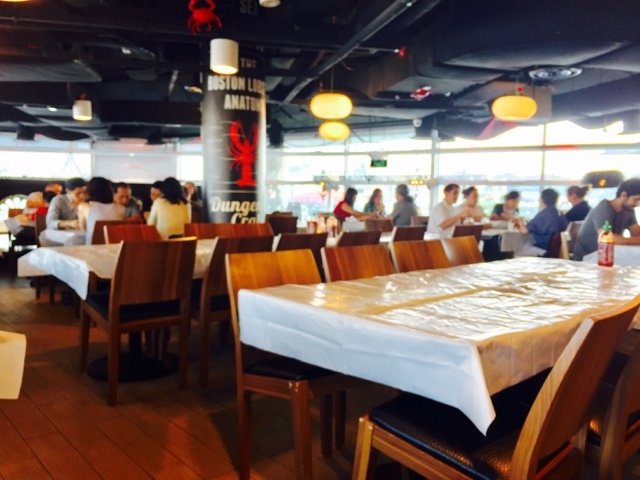 I always patronise Dancing Crab at Vivocity because it has the best sauces and ambience! I am very surprised that the sauces I love are available at Vivo and Orchard Central outlets but not at the Grandstand outlet. My all time favourite sauces are Beurre Blanc and Zesty Garlic Butter. 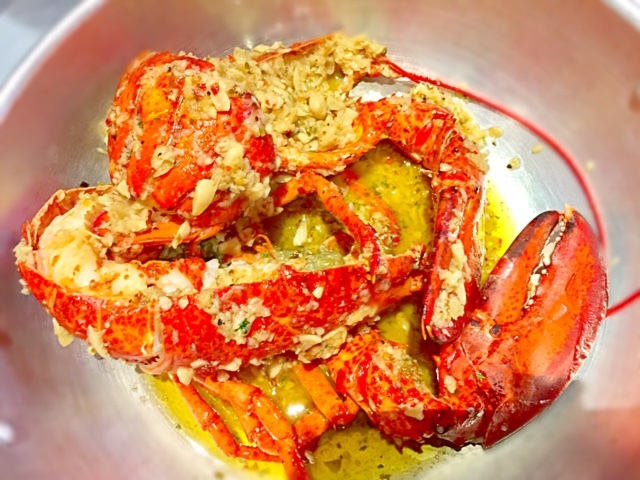 The Sri Lankan Crab tasted fresh and it was extremely satisfying when I dipped it into the Garlic Butter sauce. 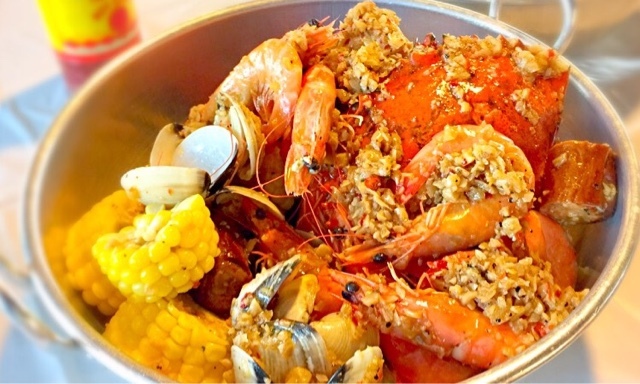 The sauce was incredibly delicious and it went very well with the crab, prawns, clams and the corn. 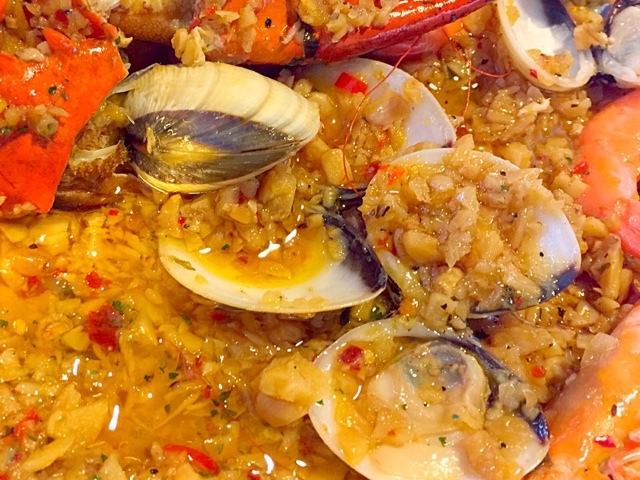 Dancing Crab has mastered this sauce because of its consistency. One thing I alway enjoy about Dancing Crab is their ability to get crabs with huge claws. Huge claws always excite me. Pulling the shell from the flesh and putting the flesh into my mouth is such an enjoyable experience. 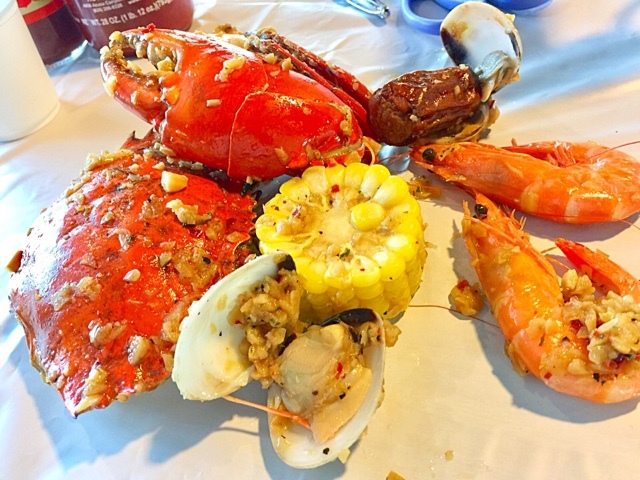 For this meal, the crab tasted fresh; the corn was incredibly sweet and juicy; the prawns were very sweet and fresh; the clams were plump too. Another sauce that you must try is the Beurre Blanc. It was creamy, salty yet perfectly balanced with the white wine. 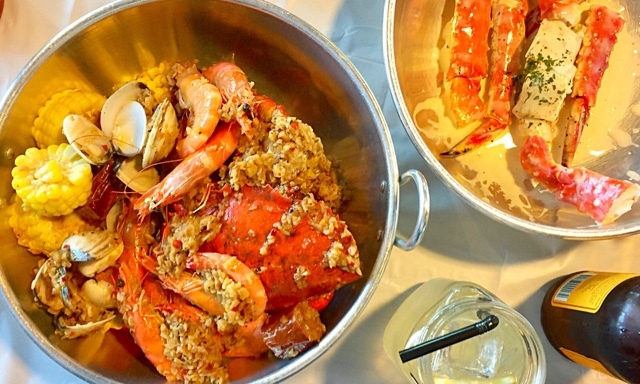 It went very well with the crab legs. The Beurre Blanc sauce tasted differently every time I tried. For this meal, it was perfect. There were times whereby the white wine was barely noticeable. 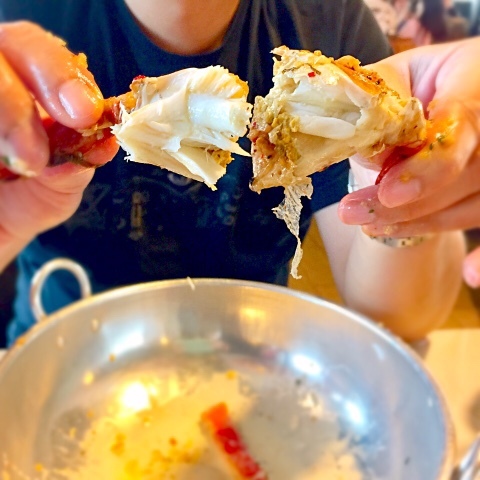 Look at how fresh the crab meat is in the picture! 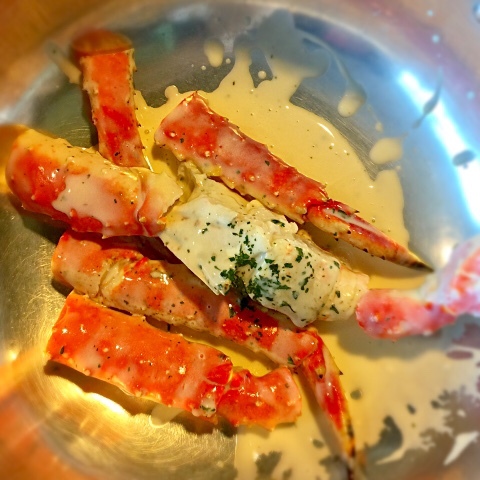 Alaskan King Crab Legs is a dish that you must try. 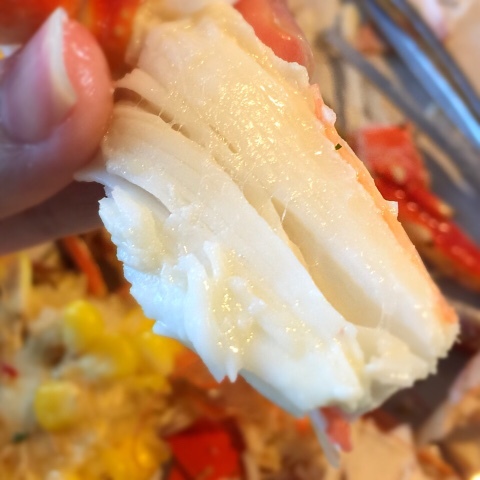 It was the sweetest tasting crab meat I have ever tasted. 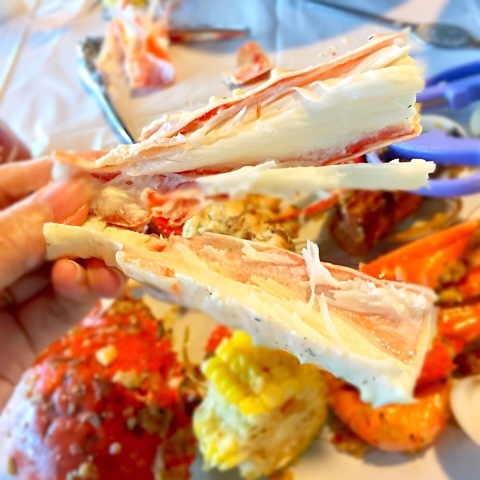 It was also the biggest piece of crab leg flesh that I have ever put into my mouth. 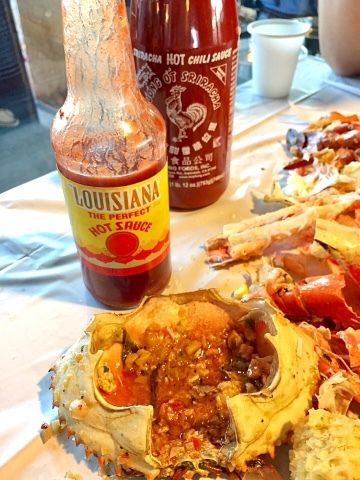 I love to pour some Louisiana hot sauce and garlic butter sauce into the crab shell and mixed it with the "soft thing" we usually find in the crab shell. 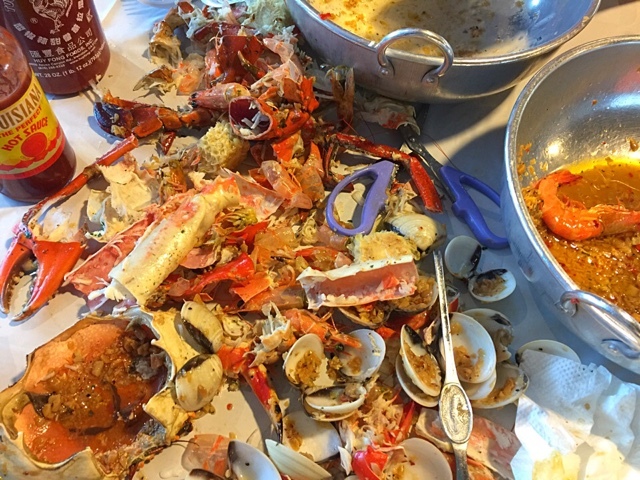 The empty shells speaks of a delicious seafood meal! 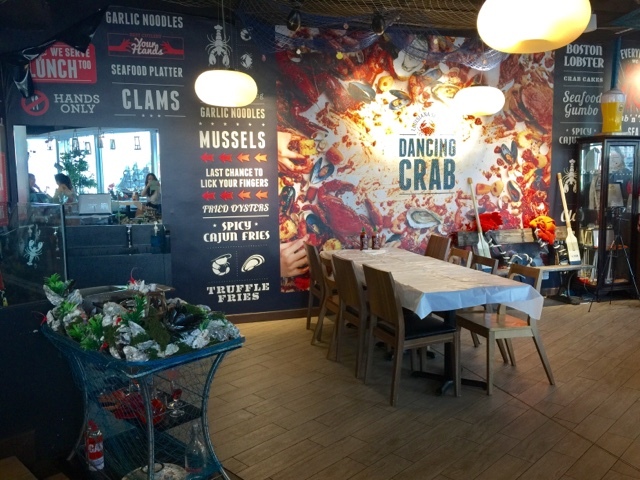 Dancing Crab at Vivocity is my favourite outlet because of its prompt service, consistent food quality and ambience. Unfortunately, for this meal, I had an unpleasant experience. 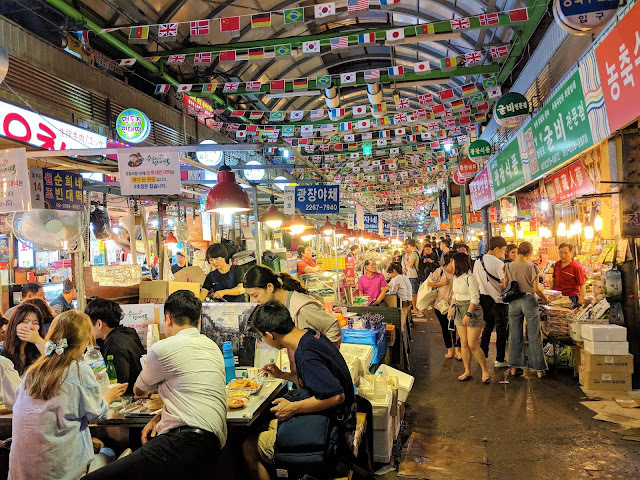 Shortly after our meal, our stomachs felt queasy and 2 hours later, we had stomach cramps and subsequently a mild diarrhoea at home. 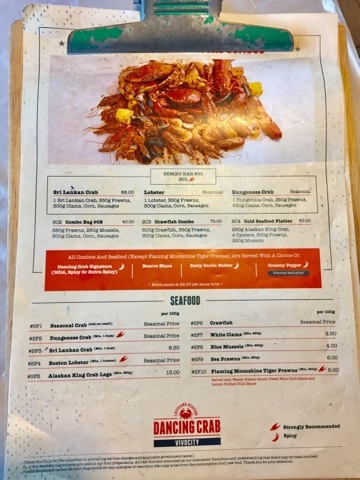 This was the first time we experienced this after a meal at this outlet therefore it could be our lunch and not our dinner at Dancing Crab. 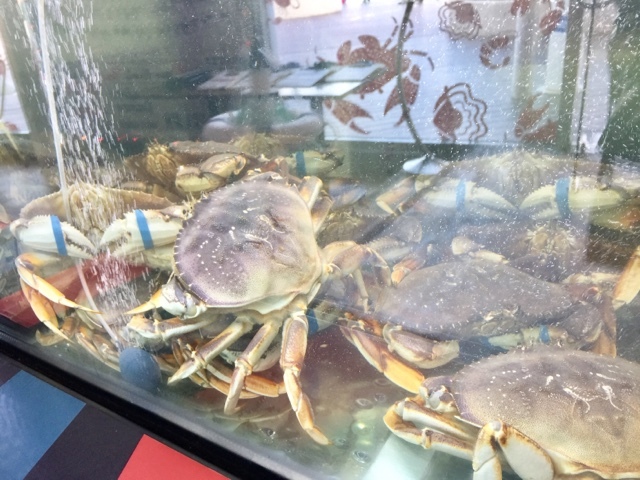 Concerned, I informed Dancing Crab just in case there were other cases as well and they could do something about their processes. A staff, Mr W, called me the next day and asked me how I was. I told him I was fine and it was just a mild case of diarrhoea. He asked me to text him a picture of my bill. I did so and he replied, "Noted with thanks." After a few days, I still did not hear from him so I texted him and asked him about it. He called me and he told me that ours was an isolated case and it could be because we were allergic to crabs. I rolled my eyes. 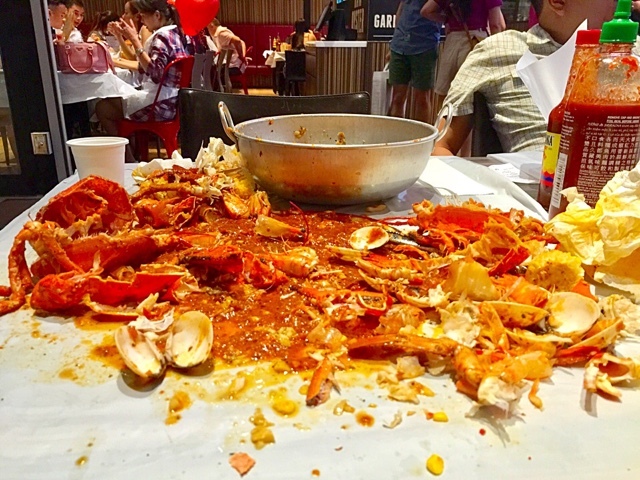 He even told me that he would go to the toilet every time he ate crabs. I told him that we had patronised the outlet several times and that I just wanted to be assured that everything was fine since this was my favourite outlet. This was when he told me to call him on his mobile phone the next time I patronise the Vivo outlet. HE WOULD EAT THE EXACT SAME THING I ORDER TO ASSURE ME THAT THEIR FOOD IS SAFE. This was such an insincere response as it contradicted with what he had said earlier. Anyway, I had no interest in prolonging the conversation so I hung up after he had said what he wanted to say. All I wanted to hear was - Madam, we have ensured that our kitchen processes are fine. Period. As a result, I most probably would patronise the outlet at Orchard Central in future. I have posted some photos of my experience in Orchard Central. 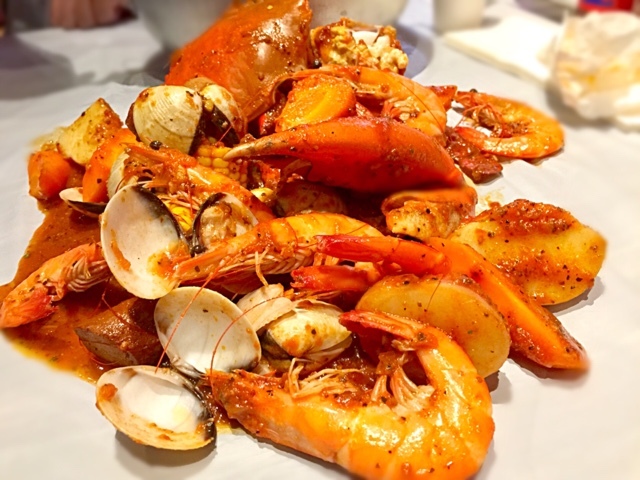 This was my first time trying Dancing Crab so of course, I ordered their Signature Sauce. It was too spicy for me and I preferred our Singapore Chilli Crab sauce over this sauce. Therefore, I would always order Beurre Blanc and Zesty Garlic Butter sauces. The lobster was very fresh and delicious but way too expensive. It usually costs around $80. Will I be back? Definitely! I also heard that their crab cakes are fantastic!